When I first started training in Krav, I probably went to about five 1-hour long classes a week. Sometimes more, sometimes less. I probably spent AT LEAST that many hours quietly nerding out about Krav after I got home from class. I read every article and watched every Youtube video I could get my hands on. I know I’m not the only Krav nerd here, so I’m sharing a few of my favorite Krav nerd resources. Here ya go! Sgt. Miller introduces the myths, metaphors and expectations that most martial artists have about what they will ultimately learn in their dojo. This is then compared with the complexity of the reality of violence. I was once a frightened feminist. So begins Martha McCaughey’s odyssey into the dynamic world of women’s self- defense, a culture which transforms women involved with it and which has equally profound implications for feminist theory and activism. Unprecedented numbers of American women are learning how to knock out, maim, even kill men who assault them. Sales of mace and pepper spray have skyrocketed. Some 14 million women own handguns. From behind the scenes at gun ranges, martial arts dojos, fitness centers offering Cardio Combat, and in padded attacker courses like Model Mugging, Real Knockouts demonstrates how self-defense trains women out of the femininity that makes them easy targets for men’s abuse. And yet much feminist thought, like the broader American culture, seems deeply ambivalent about women’s embrace of violence, even in self-defense. 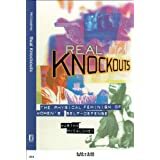 Investigating the connection between feminist theory and women physically fighting back, McCaughey found self-defense culture to embody, literally, a new brand of feminism. Working-class waitress Slim (Jennifer Lopez) thought she was entering a life of domestic bliss when she married Mitch, the man of her dreams. After the arrival of their first child, her picture perfect life is shattered when she discovers Mitch’s hidden possessive dark side, a controlling and abusive alter ego that can turn trust, love and tranquility into terror. Terrified for her child’s safety, Slim flees with her daughter. Relentless in his pursuit and enlisting the aid of lethal henchmen, Mitch continually stalks the prey that was once his family. Finally, Slim is forced to fight back, engaging Mitch in a physical and psychological battle, showing him that she’s had ENOUGH! Jennifer Lopez delivers an electrifying performance as a new breed of action hero in director Michael Apted’s harrowing, high-style hit thriller. The espionage thriller begins in 1997, as shocking news reaches retired Mossad secret agents Rachel (Helen Mirren) and Stefan (Tom Wilkinson) about their former colleague David (Ciaran Hinds). All three have been venerated for decades by their country because of the mission that they undertook back in 1966, when the trio tracked down Nazi war criminal Vogel (Jesper Christensen) in East Berlin. At great risk, and at considerable personal cost, the team’s mission was accomplished – or was it? The suspense builds in and across two different time periods, with startling action and surprising revelations. A top Marine sniper who previously abandoned the military after a routine mission gave way to tragedy is double-crossed by the government after reluctantly being pressured back into service in Training Day director Antoine Fuqua’s adaptation of Stephen Hunter’s novel Point of Impact. There was a time when Bob Lee Swagger (Mark Wahlberg) was the best trigger-man in the military, but after growing disillusioned with the system, he disappeared without a trace. When high-profile government officials locate him at his remote mountain retreat following an extensive search, Swagger is coerced back into service in order to stop a determined assassin from taking out the President of the United States. In the process of carrying out his mission, however, Swagger suddenly realizes that he has been betrayed when he becomes the subject of a nationwide manhunt. Now wounded and desperate to reveal the culprits behind the conspiracy before it’s too late, Swagger sets into motion a revenge plan that will send shock waves rippling to some of the most powerful and corrupt leaders in the free world. Danny Glover, Rhona Mitra, and Ned Beatty co-star in this conspiracy-driven action thriller that asks what it truly means to serve one’s country. Hanna (played by Academy Award nominee Saoirse Ronan of Atonement, also directed by Joe Wright) is 16 years old. She is bright, inquisitive, and a devoted daughter. Uniquely, she has the strength, the stamina, and the smarts of a solider; these come from being raised by her widowed father Erik (Eric Bana), an ex-CIA man, in the wilds of North Finland. 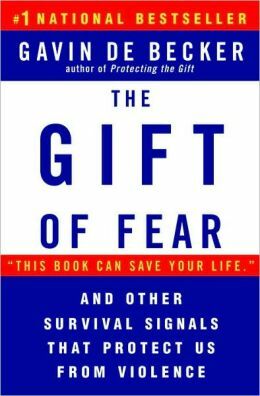 Erik has taught Hanna to hunt, put her through extreme self-defense workouts, and home-schooled her with only an encyclopedia and a book of fairy tales. Hanna has been living a life unlike any other teenager; her upbringing and training have been one and the same, all geared to making her the perfect assassin. But out in the world there is unfinished business for Hanna’s family, and it is with a combination of pride and apprehension that Erik realizes his daughter can no longer be held back. Host Jimmy Smith is a Los Angeles-based mixed martial arts fighter. Iraq War veteran Doug Anderson, Smith’s co-host, hails from New Jersey. Each episode of this reality series travels to a far-flung international locale, including the Philippines, Korea, Mexico City, China and India for an action-packed hour that features either Smith or Anderson squaring off against a local fighter in a no-holds-barred bout that may feature kickboxing, karate or some other combat form. In this episode, the pair travels to Israel to learn Krav Maga. Martial artist Jason Chambers and former pro football player and wrestler Bill Duff host this high-energy exploration of the history and practice of a variety of martial arts, including Muay Thai, Eskrima, judo, karate, savate and more. At the end of each episode, one of the hosts also faces the ultimate test of taking on a seasoned professional fighting master. Plot: Two men attempt to abduct a seemingly incapable young woman. Spoiler alert: She kicks their asses. I love this short film. The type of attack that is portrayed is not typical – most attacks against women are perpetrated by men that they already know and may already trust rather than a couple of armed dudes jumping out from their hiding places in a parking garage. However, I still love this video because it shows what it means to stay in the fight. She didn’t escape unscathed, but she did escape with her life.